Rickenbacker Model B with seven strings. 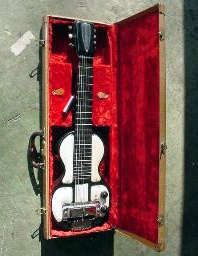 Available as 6-string, 7-string, 8-string and 10-string versions.The most common ones had 6 strings.Electro String introduced the 10-string model around 1940, though the exact date is unknown. 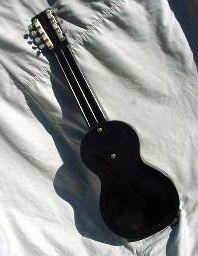 The 10-string model was structurally different from the others with metal necks instead of bakelite necks. After the late 1940's, the Model B and the Model BD appeared on price sheets, sometimes simultaneously. There was an 8 to 10 dollar variation in retail price.The literature was ambiguous about differences in the two models, but the Deluxe versions had a plastic peghead cover in 1949 and in the 50's. 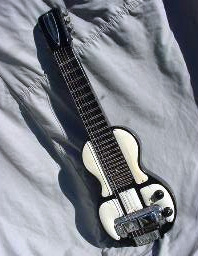 The Model BD, first announced to the public in March 1949, was a Deluxe version of the Bakelite Steel guitar. 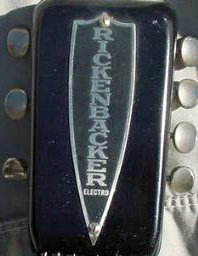 Rickenbacker listed the Model BD6 on price sheets until 1974.